Which country do you sell the most to? I'm assuming Northern America and Europe but does anyone sell mostly to any other countries. Northern America and Europe aren't countries I'm afraid. I take it that the source of this information is the Shutterstock map? If so the highest number of downloads would probably be Europe closely followed by other countries and Northern America a poor third. In terms of money more of the SODs that I'm aware of (they are not always reported on the map) and ELs come from Northern America, so they will occasionally match Europe, which do alright with ODs and the odd EL, other counties are 99.9% subs. Here we go again, but I'll try to answer what I'm guessing you wanted to ask? Depending on the month, most of my sales might be Europe or USA. Some months are 50/50 some are 80/20 USA vs rest of the world, sometimes 80/20 world and then USA is low. I don't see any pattern on more sales from any country or continent, that's always the same. I can't predict what that will be when I get paid at the end of this month. That's where I see the data, on SS, when they list the payment and percentages USA or Other. 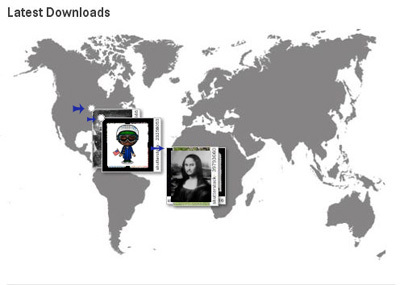 The Azors seem to produce many downloads? Out of a few thousand footage sales I have country information on, the US is the biggest buyer. By far. About three times as big as the UK. South Korea, Australia, and Russia are also in the top 10. All of Europe combined is getting close to the US. Is country name a trademark? What tax do you pay from stock in your country? Bad Behavior has blocked 67582 access attempts in the last 7 days.